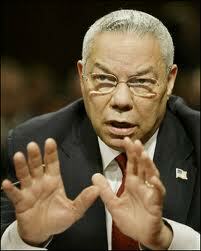 While on my recent vacation, I raced through Colin Powell’s new book, It Worked For Me: In Life and Leadership. It now stands as one of the most practical books on leadership I have ever read, right up there with Wooden on Leadership by John Wooden. If you have not read it, you need to. Rule #1: It ain’t as bad as you think. It will look better in the morning. A good night’s sleep gives everything a fresh look. Rule #2: Get mad, then get over it. This rule grants us permission to get mad. It also reminds us that mature leaders must move on. Rule #3: Avoid having your ego so close to your position that when your position falls, you ego goes with it. Even leaders sometimes have their positions shot down. Remember that this is not a reflection on you as a person. Move on. Rule #4: It can be done! It is amazing what a leader can accomplish with this attitude! Rule #5: Be careful what you choose. You may get it. Think your decisions through to the end. Make sure you can live with the result. Rule #6: Don’t let adverse facts stand in the way of a good decision. Leaders must make tough decisions that don’t please everyone. Accept that, or choose another profession. Rule #7: You can’t make someone else’s choices. You shouldn’t let someone else make yours. While listening to advice is good practice, the decision is ultimately yours. Own it. Rule #8: Check small things. Little acorns grow into large oak trees. There is no such thing as a small problem. When things go right, your team did it. When they go wrong, you did it. Period. Rule #10: Remain calm. Be kind. Your followers are looking to you for direction. If you remain calm in a tough situation, you will inspire the same reaction in your followers. And remember, you can correct kindly. Rule #11: Have a vision. Be demanding. Don’t let anyone set a standard of excellence higher than yours. Rule #12: Don’t take counsel of your fears or naysayers. These two things create doubt. Confidence makes for great leadership. Rule #13: Perpetual optimism is a force multiplier. If you are not optimistic, who will be? What other rules would you add to this list?